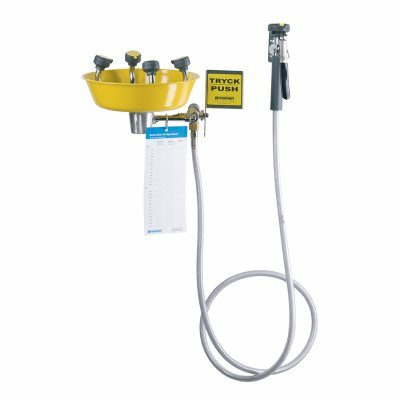 Each individual spray head has built-in flow control and filter. 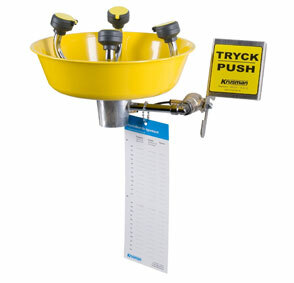 Operated by a push plate, stay-open ball valve. Eyewash is self-draining. 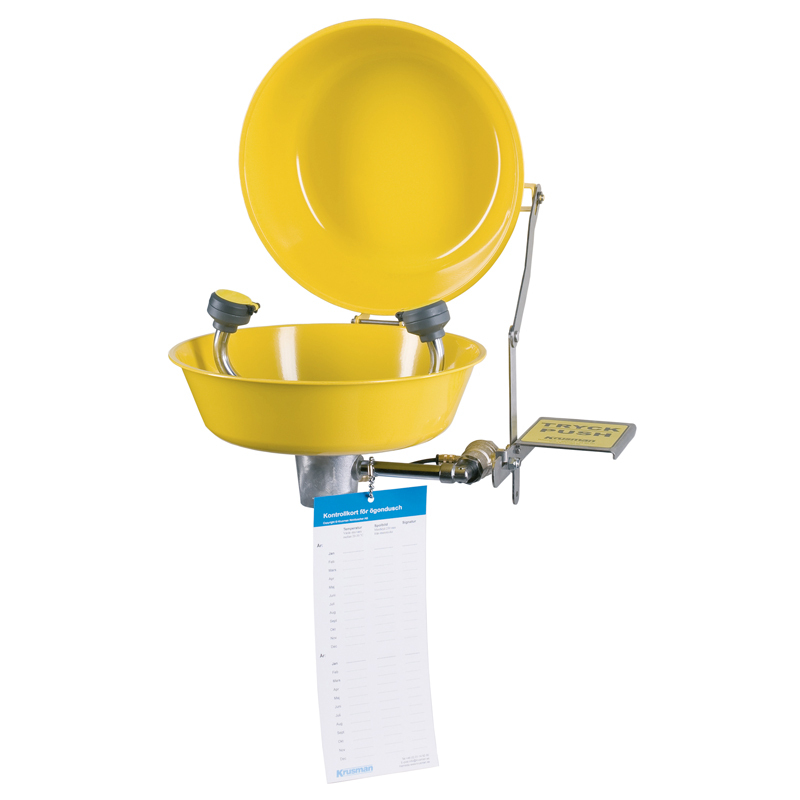 Complete with collection bowl and lid in powder-coated stainless steel, other parts of chrome-plated brass. 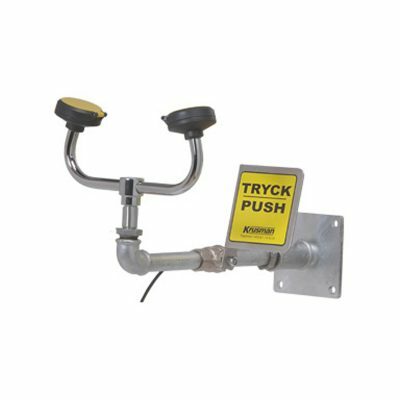 Designed for minimum flow of 14 l/min at 2.4 bar pressure. Wall Model with collecting bowl and dust cover. 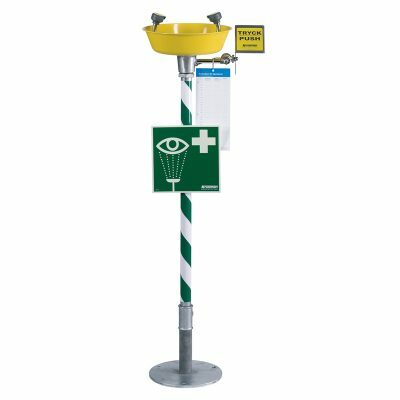 A luminous emergency sign is enclosed with each eyewash.